Ant expert Sean Menke reviews Marvel Studios’ new superhero movie Ant-Man, which follows ex-con Scott Lang (played by Paul Rudd) as he saves the day by harnessing a super-secret particle that allows him to shrink. Menke, an assistant professor at Lake Forest College’s biology department, will join us to talk about Ant-Man, the science behind the movie, and his studies on the small insects that take the spotlight in the film. 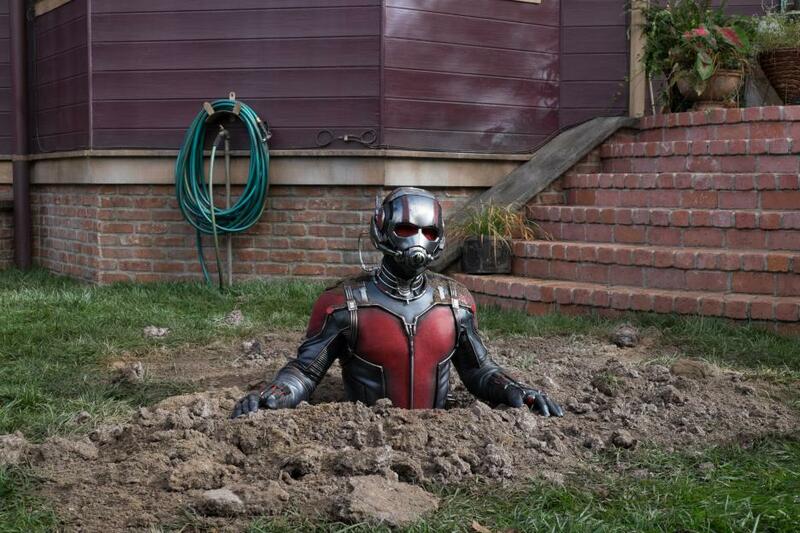 Watch a trailer for Ant-Man. Want to read more about the antics of Ant-Man? Here are some comic book suggestions from Raphael Espinoza, manager of Chicago Comics in Lakeview. Espinoza says this collection includes classic adventures of Hank Pym as Ant-Man. Pym is the original Ant-Man and a founding member of the Avengers in the Marvel Comics book universe. This collection includes artwork from the legendary Jack Kirby, affectionately remembered by fans as the King of Comics for his hand in creating iconic heroes like Captain America, the Fantastic Four, the Hulk, Iron Man, the X-Men, and Ant-Man. If you’re looking for stories featuring Scott Lang as Ant-Man, Espinoza says readers should check out this collection that follows Lang as he leaves a life of crime and gets a job with Tony Stark, also known as Iron Man. “This reprints the first Scott Lang appearance and several of his early adventures,” Espinoza said.